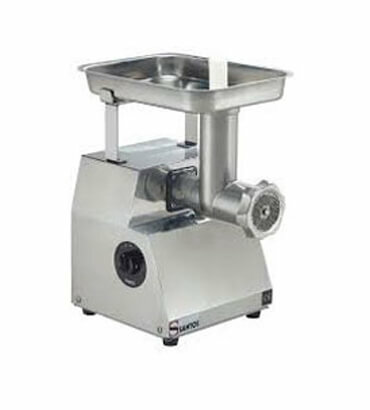 Electric Meat Mincer & Grinder Manufacturer in India, Meat Mincer & Grinder Supplier in India Meat Mincer & Grinder in India. We provide a wide assortment of Meat Mincer in India to our valuable in different specification to meet the diverse requirement of client. These are used for fine chopping ('mincing') of, or mixing of raw or cooked meat, fish, vegetables or similar food. Std Size 220-230 50 50 To 200 24x24x24/ 34"